Whether you like to drive or not, chances are, it’s a big part of your day. I definitely spend more time in my car than I would like, and have learned over the years a few tips and tricks to make the drive safer, easier and more enjoyable. Whether you’re driving the kids around everyday, like to travel, or simply have a long commute to and from work, here are a few tips that you might find helpful! If you’re driving a rental, a friend’s car, or even one of your own (I forget sometimes! 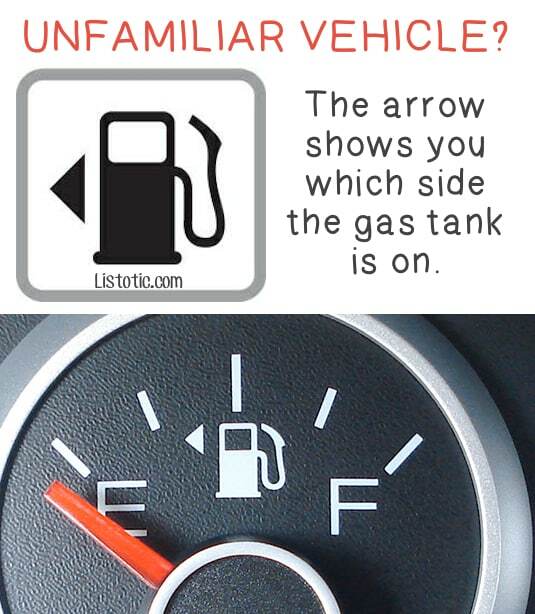 ), most vehicles have an arrow next to the gas pump icon on your gas gauge that will tell you which side the gas tank is on. It took me 34 years to learn this! Ugh. 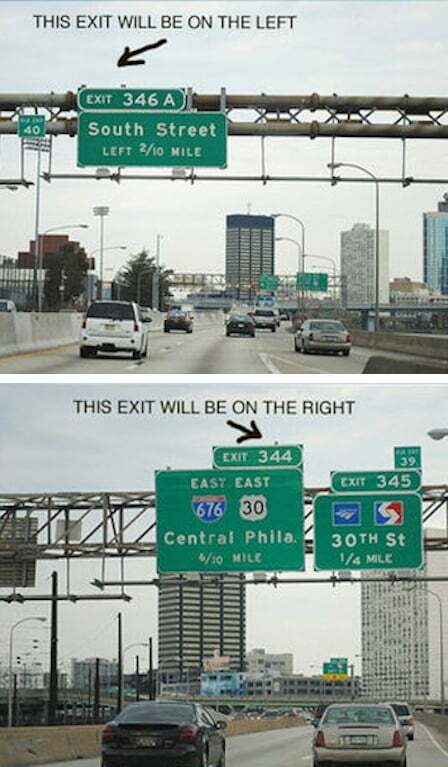 Most of the time the exit is on the right, but in major cities, the exits can be on either side of the highway– confusing! But, the exit signs will tell you which lane you need to be in to take your exit by whether they are placed on the left or right part of the road signs. 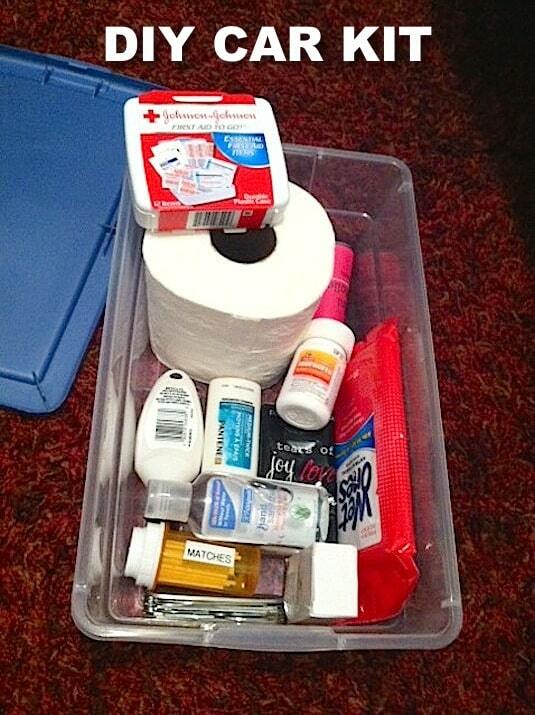 You never know when you’re going to be stuck on the road, or just away from home longer than expected, so it wouldn’t hurt to have an emergency car kit with all of the essentials just in case you need them, and in a real emergency it could save your life! Don’t forget to pack an all-purpose tool set that has a mini screw driver, scissors, bottle opener, and knife all in one. If you are on the road a lot, consider a larger tub in your trunk that holds essentials like water bottles and a blanket. 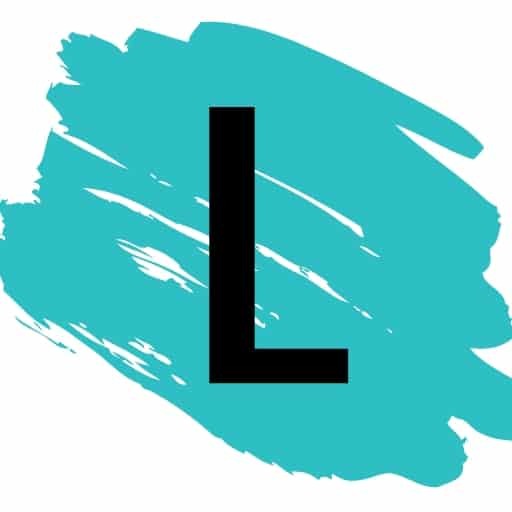 Go check out the entire list of ideas over at Perfect Shine Housekeeping.